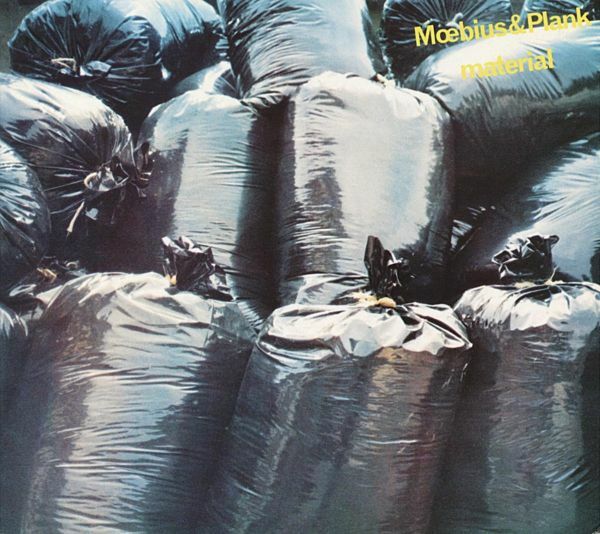 Dieter Moebius is a renowned experimental Krautrock / electronic musician (Cluster, Harmonia), Conny Plank is a legendary sound engineer. They recorded five albums together, the last one being "En Route" (recorded 1986, released 1995). It transports us to Moebius and Plank's customarily audacious, bizarre, wonderful and definitively unique world of sound, noise and rhythm. "En Route" is hip electronic music, yet it steers well clear of the mainstream. Includes three remixes by Manu Guiot. 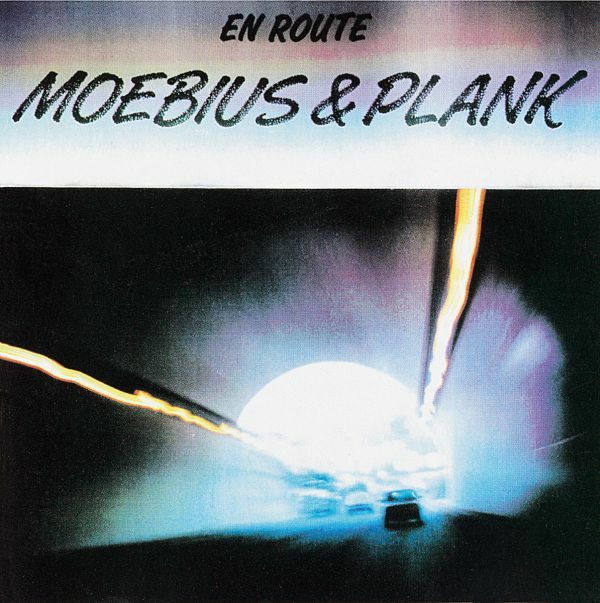 On their second album Material, Moebius and Plank ventured far, far away from the double coordinates of the Harmonia world and pop music cosmos. Amazingly, they did not find themselves floating in space, but made an exemplary landing, avoiding getting caught between a rock and a hard place. 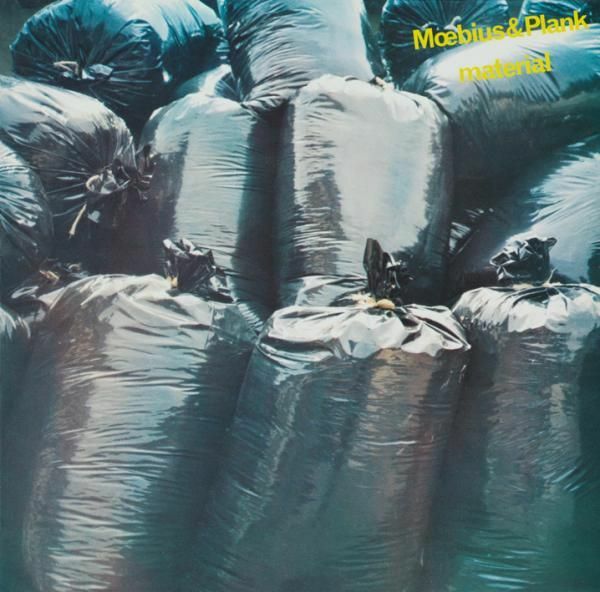 "Material" saw them generate a form of genre-busting electronic music, more radical than anything one might have expected to come out of Germany, not even from the likes of Cluster or Harmonia. Having said that, one should add that the album is in no way a copy of the New Wave and industrial scenes that were enjoying such prominence at the time. "Material" is, in the best sense of the word, without style, that is to say, it cannot be aligned with any of the conventional styles available. 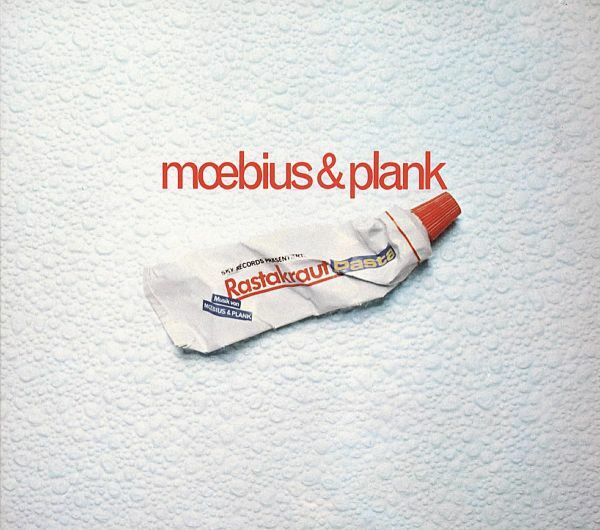 On Rastakraut Pasta, drums, electric guitars and bass are the cornerstones of every track; they provide the framework to which Moebius adds fresh colour and life with his synthesizers. Thanks to the technical merits of Planks studio, the keyboards sound barely distinguishable from one another. No samples, strictly analogue from start to finish. Holger Czukay (Can) plays bass on three pieces and his consummate professionalism sees his virtuosity finely tuned to the concept of Moebius and Plank. Moebius has a predilection for surrealist cascades of noise, heard throughout the album, grotesque yet playful. An enigmatic form of pop music came into being on this LP, a breakneck, elegant mix of diverse elements: a touch of Krautrock, some avant-garde pop, new German electronica, even sporadic echoes of reggae.